Bramble Lodge at Faulkers Lakes in Burgh le Marsh, near Skegness sleeps 4 people. Faulkers Lakes near Skegness is positioned alongside well-established coarse fishing lakes in a peaceful, rural location. 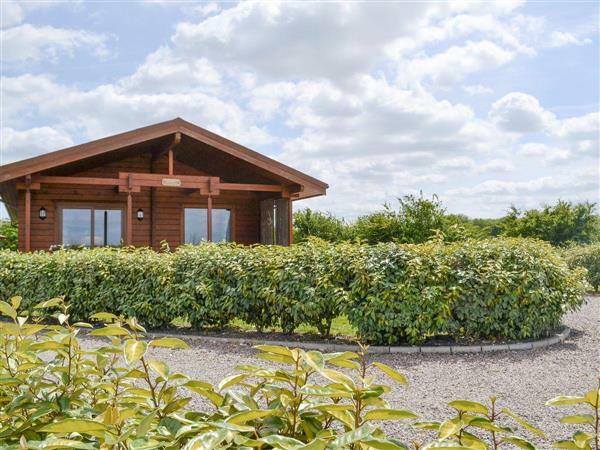 Bramable Lodge is detached lodge which provides superb holiday accommodation. These five detached lodges (refs UKC1324 [Hazel Lodge], UKC1325, 29727 [Bulrush Lodge], 29728 [Willow Lodge] and 29729 [Hawthorn Lodge]) provide superb holiday accommodation is just 2 miles from Burgh le Marsh and only 5 miles from the seaside resort of Skegness with its excellent sandy beaches, fun fair, amusements, theatre, a seal sanctuary and Gibraltar Point Nature Reserve. The lodge has its own private hot tub positioned on the decked veranda overlooking the fishing lakes, which are all well stocked with mature carp up to 20lbs, barble up to 11lbs and bream up to 7lbs, as well as crucian carp, chub, tench, ide, rudd, roach and perch. For those that don’t want to fish, there is plenty to see and do in the area. Attractions include the Lincolnshire Wolds, the Battle of Britain Memorial Flight at Coningsby or Horncastle, a 30-minute drive, which is famous for its many antique and collectables shops. Visit Fantasy Island at Ingoldmells. Lincoln Cathedral, where ’The Da Vinci Code’ was filmed with Tom Hanks, is about an hour’s drive and there are many excellent walks and cycle routes throughout the area. The beach is 5 miles from Faulkers Lakes near Skegness. With the shop, pub and restaurant 2 miles. Bramble Lodge can be booked together with Hazel Lodge (ref UKC1324 [Hazel Lodge]), Bulrush Lodge (ref 29727 [Bulrush Lodge]), Willow Lodge (ref 29728 [Willow Lodge]) and Hawthorn Lodge (29729) to sleep up to 24 people. Gas central heating, electricity, bed linen, towels and Wi-Fi included. Travel cot and highchair available on request. Lawned garden with decked veranda, sitting-out area and garden furniture. 5 acres of landscaped grounds (shared with other properties on site). Hot tub for 4 (private). Fishing on-site (at an additional charge). Private parking for 3 cars. No smoking. Please note: There is an unfenced lake 20 yards away. Holidays at Bramble Lodge, Faulkers Lakes run from Friday to Friday. Pets allowed at Faulkers Lakes - Bramble Lodge. For a better idea of where Faulkers Lakes - Bramble Lodge is, you can see Faulkers Lakes - Bramble Lodge on the map below. Faulkers Lakes - Bramble Lodge is in Lincolnshire; should you be on the lookout for a special offer, you can find all the special offers in Lincolnshire. It's always worth checking to see what is on offer at the moment. Do you want to holiday near Faulkers Lakes - Bramble Lodge (UKC1325), you can see other cottages within 25 miles of Faulkers Lakes - Bramble Lodge; have a look to find your perfect holiday location.